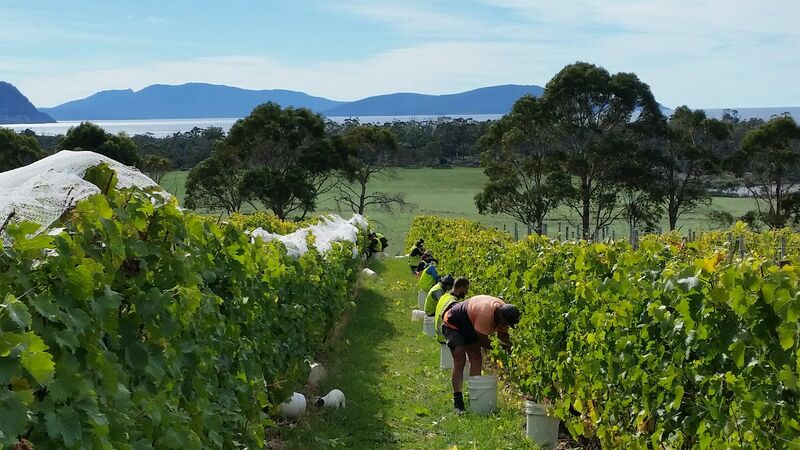 VIN Diemen is coming to Sydney and Melbourne..
Vintage 2017 – A Work in Progress! VIN Diemen is coming to Melbourne and Sydney! Tickets can be purchased here (for both Melbourne and Sydney). It’s the annual of celebration of Dad on Sunday 6 September – so why not get Dad a gift of wine for Father’s Day? Some reds (maybe our new release Cabernet Merlot? ), or whites (what about our 2014 Riesling? ), or maybe a combination of both? And to help Dad (and you!) celebrate the day in style we’ll send it to you freight free – just enter and redeem the coupon code DADDAY in our online shopping cart and you’ll be able to choose an option for free shipping. Once received we’ll ship your order with Australia Post as soon as possible! Our 2012 Riesling winning a gold medal – this wine also recently won a “blue gold” (equivalent to a double gold medal) and was placed in the Top 100 wines at the 2014 Sydney International Wine Competition; here is a link to the judge’s comments. Certainly worth its 96 point and “Best of the Best” rating from James Halliday! Our 2011 Pinot Noir and 2011 Chardonnay both winning a silver medal in very strong classes – these medals again highlight the suitability of these Burgundy varieties to Tasmania’s cool climate. Our 2013 Late Picked Schönburger winning a silver medal – we have only just released this wine (refer below) and know it develops beautifully with bottle age, so this is an exciting early sign of its quality.